WWE Superstar Sasha Banks is considering quitting the company, according to reports. Eagle eyed fans over on Reddit - or at least, those religiously glued to their smartphones - noted that the recently deposed WWE Women's Tag Team Champion unfollowed her current paymasters on Twitter, and began following. you guessed it. AEW. Banks was reportedly under the impression that she and Bayley were going to reign for some time with the belts as a way to give the titles credibility. 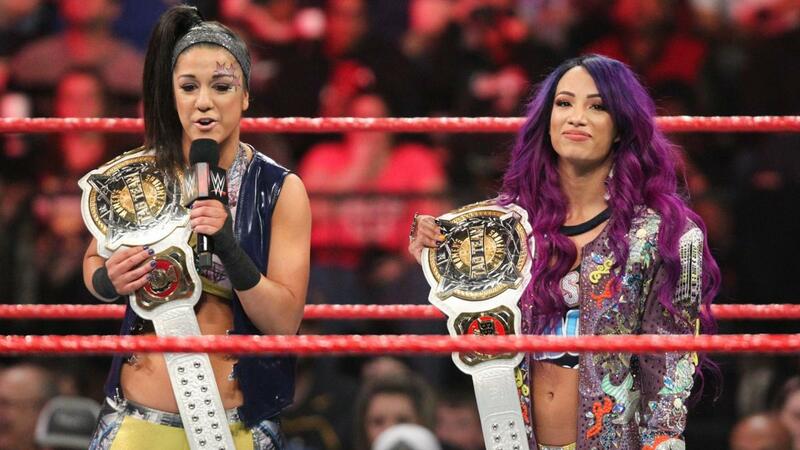 However, Banks and Bayley were told they would drop them to The IIconics at WrestleMania 35 in a fatal fourway along with Nia Jax and Tamina, and Natalya and Beth Phoenix. The Boss was given a few weeks to think things over before making a decision. WWE is not expected to grant Banks a release. Banks then pulled out of a Tuesday appearance on The Wendy Williams Show, causing issues with the staff of the show because it was a late cancellation out of nowhere. A tweet posted by Pro Wrestling Sheet writer Ryan Satin has prompted even further speculation as to where Banks' future may lie. Hopefully the opportunity will be there again later. Though some staffers with Williams' show claimed that Banks would never be invited back to the show, Williams herself announced Banks missed the taping due to a family emergency, and would be invited back. Banks, who is usually ringside when Bayley has a match, was not on the show that night.